Jevona Watson remembers feeling angry at the “See Detroit Like We Do” sign downtown that caused an uproar this summer because it featured nearly all white people. Billionaire investor Dan Gilbert quickly took down the sign and apologized. 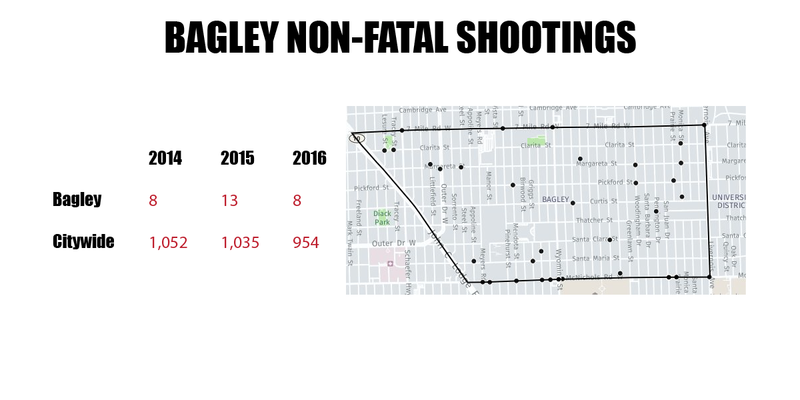 Soon thereafter, Watson looked around McNichols Road, a main commercial corridor, in the Bagley neighborhood where she owns a coffee shop, Detroit Sip. “As a native Detroiter, that’s not how I see Detroit … but I came here and I saw the amount of trash and grass across all the buildings (and I was upset) because this is how I’m seeing Detroit,” said Watson, an attorney. 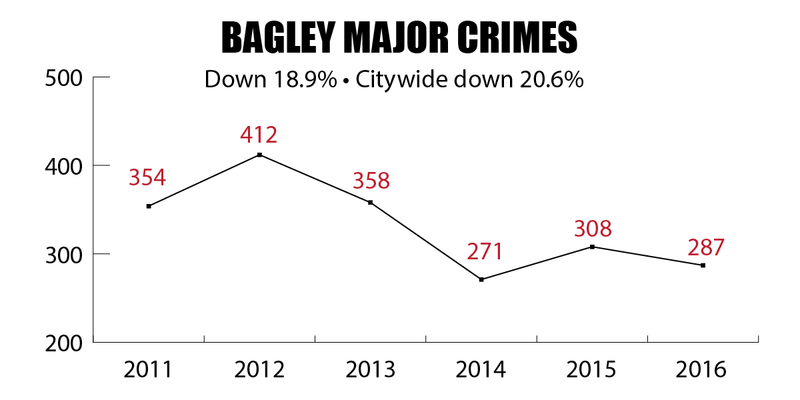 Watson’s annoyance is typical in the Bagley neighborhood, which is one of the most stable in Detroit. Anchored by Marygrove College and adjacent to the University of Detroit Mercy, its brick homes are attracting new residents but some of its commercial corridors could use some love. Watson’s coffee shop, which she built from a former upholstery shop, is surrounded by dilapidated, closed businesses. The area has got a lot of attention lately. On the other side of McNichols is the Fitzgerald neighborhood, which is the focus of City Hall rejuvenation efforts. 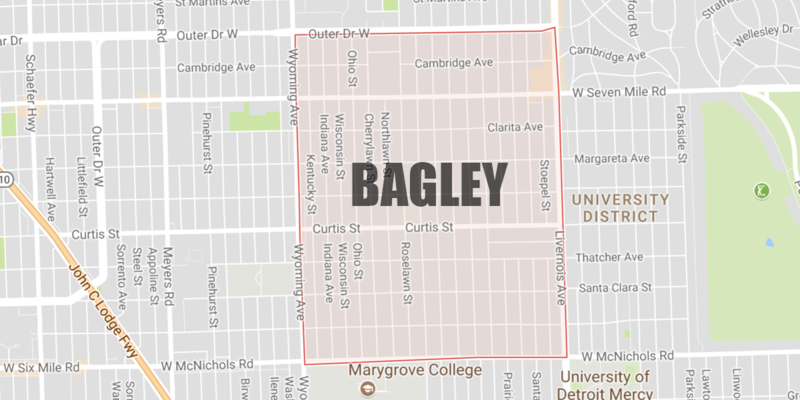 Bagley is also the epicenter of the Live6 Alliance, a nonprofit funded by foundations, the University of Detroit Mercy and the Detroit Economic Growth Corp., to improve commercial districts around the Livernois and McNichols area. The efforts have improved the stretch of Livernois known as the Avenue of Fashion, bringing in bike lanes, outdoor art installations and new businesses. 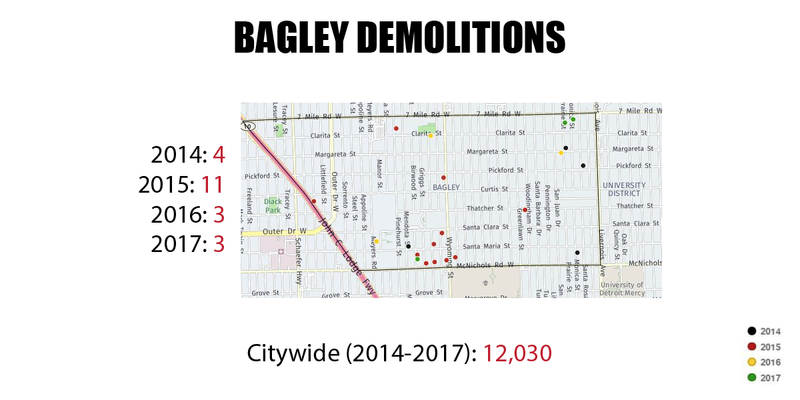 Development is slower on nearby McNichols, where more greenery and sidewalks are planned but Watson’s shop is conspicuous for not being boarded. Watson said owners of neighboring, closed buildings show up at press events, say all the right things, and then depart back as soon as cameras are turned off. 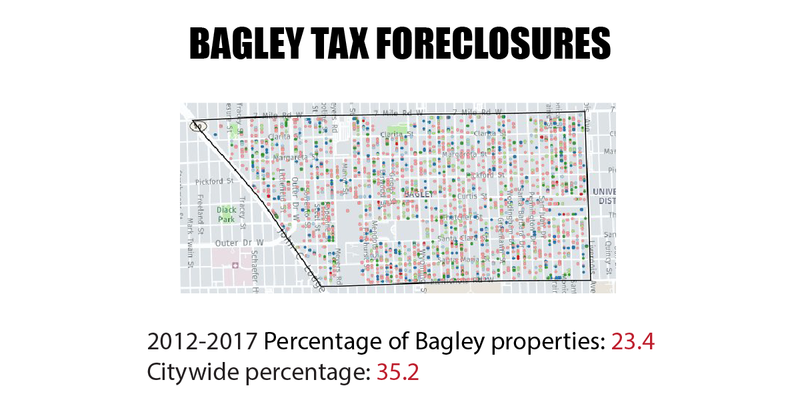 Once an enclave for middle-class Jewish residents, Bagley is bordered by Outer Drive and McNichols and Livernois to Wyoming. 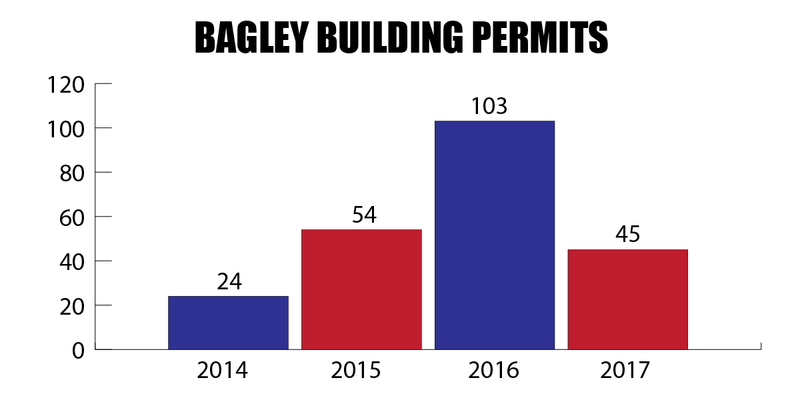 Just west of the more affluent University District where homes are listed for $300,000, Bagley is seeing an influx of residents attracted to cheaper homes, said lifetime resident Kareem Holt. The neighborhood’s homes, which are typically 2,000 square-feet or smaller, sell for $65,000 to $100,000, records show. A few years ago, following the 2008 real-estate crash, they sold for $10,000 or less. 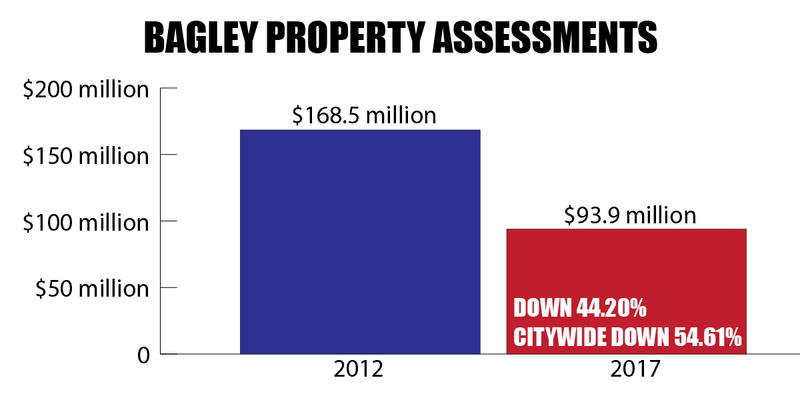 City records underscore Bagley’s stability. 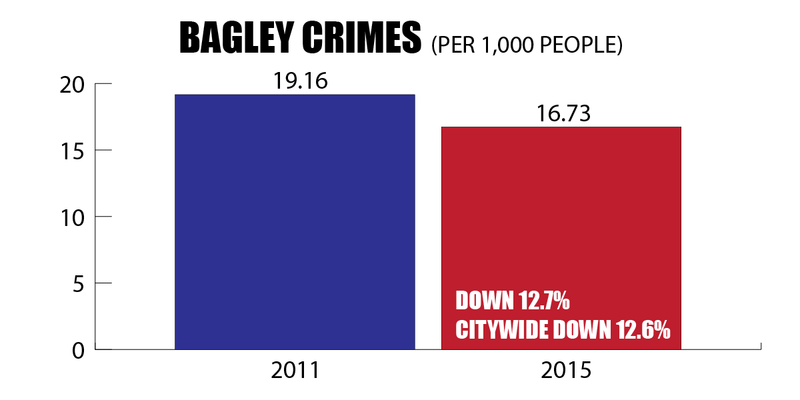 Crime has fallen 22 percent over the last four years, while Census records indicate its population has remained flat at 18,000 since 2011. 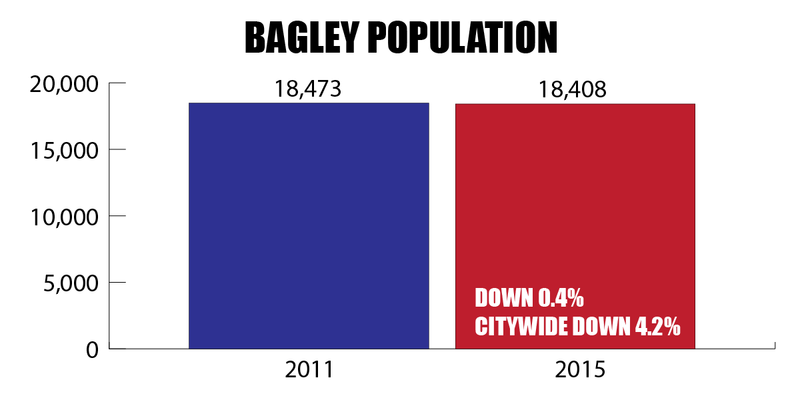 Overall, the city’s population has declined 4 percent during that time. 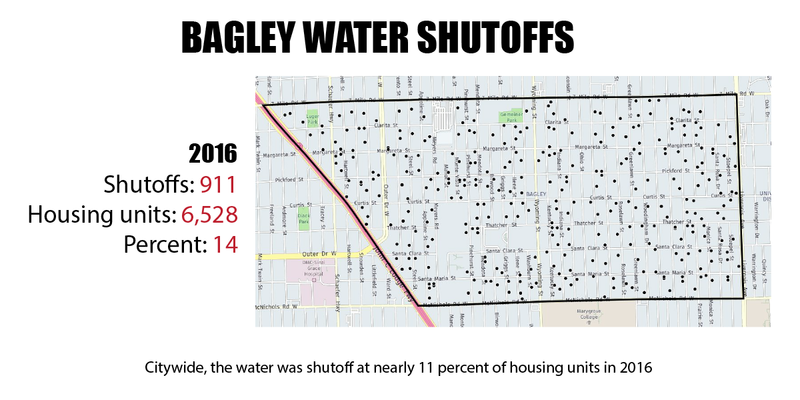 Neighborhood residents have “taken its power back” because it can’t depend on City Hall for help, said Lee Gaddies, who serves on the Bagley Community Council neighborhood group.